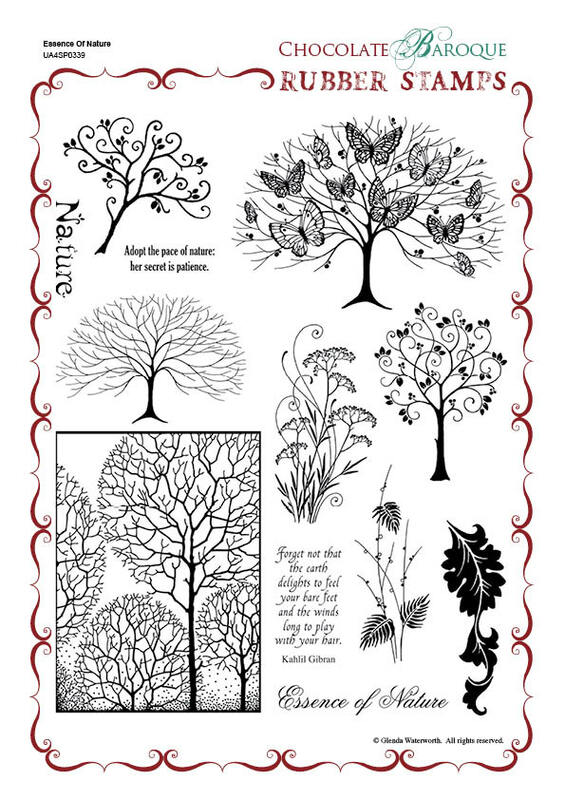 This rubber stamp set contains a series of trees, leaves and phrases that encompass nature and all its beauty. This fabulous set of stamps can be used for so many art projects and is suitable for many occasions and both genders. This sheet is sure to become a craft box favourite. Great quality stamps. Great designs - very suited to many projects. A 'go to' stamp set. 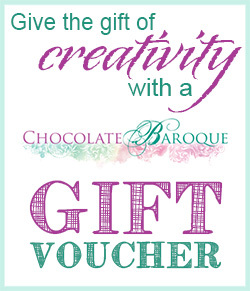 Great service from Chocolate Baroque - thank you. Extremely versatile set of stamps, as backgrounds and main image. Glenda has a knack of producing beautiful crisp clear stamps. Just love these images. Very versatile for lots of occasions. 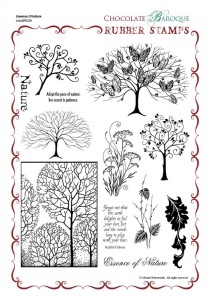 Make fantastic men,s cards with the trees. this group of stamps is so detailed and very crisp. if you love trees ..this is the one for you. just gorgeous. 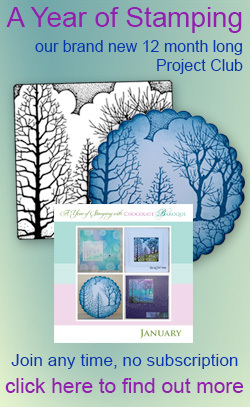 thanks glenda fro another great Chocolate Baroque product ..
Like previous review seem to be in tree stage so these are an excellent addition to my tree collection, crisp impression as always with these quality stamps. As always, the quality of these stamps is superior to those of other makes. I'm never disappointed. I have been itching to get these stamps for a while - I am going through a tree stage at the moment (one of many stages). These stamps are gorgeous - every detail as always, coming through.